RentWerx San Antonio started offering eviction assurance quite some time ago and this is a service we offer to our owners to guarantee they will not be surprised with an overwhelming eviction cost. In a lot of cases, when a tenant needs to be evicted, that expense can run up to $1,500 to $2,000 or even more. In addition to costing a lot of money, it also takes a lot of time. You have to serve a notice, file the eviction, go to court, get a writ of eviction, work with the sheriff and remove the tenant from the property. All those things are time consuming and they cost money. This program is unique because it mitigates the 30 days that a tenant is not paying you rent due to our eviction proceedings. Remember that the first 30 days of lost rent will be covered by the security deposit. 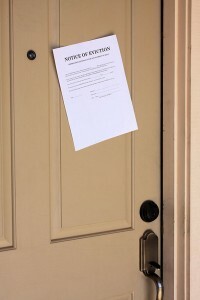 The next 30 days that are spent trying to remove the tenant from your property can often leave you often to lost rent. The rent protection program we offer is $9.00 per month. It basically offers reimbursement to owners for any rent up to 30 days that is not collected because the eviction process is moving forward. For example, if we have to evict a tenant who was paying you $1,400 per month, it could take us between 30 and 45 days to evict that tenant. The owner’s rent protection will guarantee that we forward the $1,400 sum that the owner would have received from the tenant if rent was being paid according to the lease. This helps the owner because there are no out of pocket expenses to cover during the eviction or due to lost rent. Many owners find it helpful and it provides them with a lot of peace of mind. If you want to learn more about how to protect yourself against the costs of eviction, please do not hesitate to contact us at RentWerx San Antonio.